no. 1 / More new Taiga Press stockists this week! We’re excited to welcome Red’s Mercantile in Eau Claire, WI as the latest beautiful shop to carry our products. no. 2 / I’m trying to channel the above photo while participating in Style Bee’s Fall 10 x 10 Challenge. For those who don’t know, the goal of the challenge is to choose 10 items from your closet and use them to create 10 outfits over the course of 10 days. 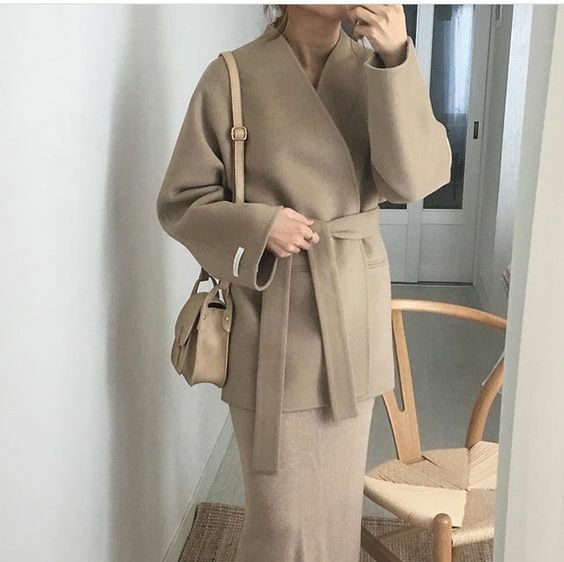 I did it last fall and it really forced me to create new outfits with my existing wardrobe. It’s also a great way to plan for traveling and for exploring your closet’s versatility. Plus, it’s a way to go on a shopping freeze too! Today is Day 5 and it’s going pretty well so far. However, I will admit to cheating a bit: To prolong the life of my sweaters, I have worn undershirts (not on my list of 10 items) and I’ve also opted for wearing my rain boots when I take my dog on walks. no. 3 / I went to Portland on Wednesday and visited one of my favorite shops, Palace. While I wanted everything there, I ended up with a great ivory cotton beanie. It’s a must visit while in Portland! Especially as it’s close to great spots like Heart coffee and the delicious restaurant, Tusk. no. 4 / I’m looking for a good next book. I’m halfway through Interpreter of Maladies, a collection of short stories by Jhumpa Lahiri and would love a new work of fiction—like a recent release. Any suggestions? no. 5 / Trying to take advantage of some downtime in the evenings, so I began knitting again. I’m working on this Purl Soho baby pullover pattern in a pretty minty sagebrush color. no. 6 / I finally watched Phantom Thread last Saturday (I know, I know). What a beautifully, twisted film. I’m still processing it. no. 7 / I don’t have any plans for the weekend except to get caught up on work. Rain is in the forecast so that will help keep me indoors. I’m working on some exciting custom projects at the moment. Hoping to maybe even get started on my fern print design…Happy weekend everyone!